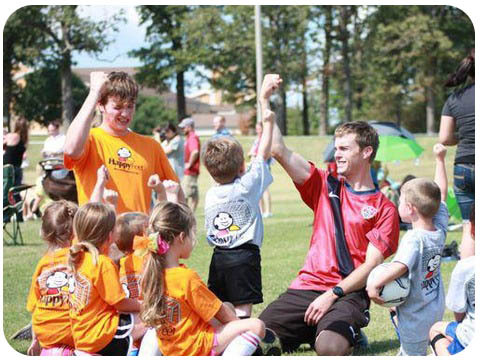 HappyFeet is a non-competitive, introductory soccer and movement skills program for boys and girls ages 24 months - 5 years. In HappyFeet, we don't just teach soccer to kids, but also use soccer as a tool to teach kids about life. Minimal soccer experience preferred but not required. First Aid & CPR/AED certifications preferred, however may be obtained upon employment. First Aid & CPR/AED certifications preferred, however may be obtained upon employment as well. Looking for a summer job or internship? HappyFeet is now hiring coaches for summer camps hosted at select Twin Cities schools.